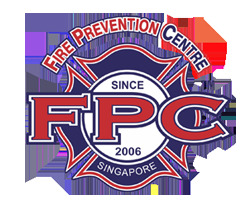 Singapore Civil Defence Force responded to the fire at 2 Jalan Rajah, the address of the building, at about 7.30am on 7 March, 2019. Mr Teo Cheng Hai, a director of N. K. Luck Singapore, the tenant of the unit, said he was alerted in the morning by the building's management that there was smoke coming from the office. He rushed down immediately and arrived at the office at around 7.15am. 'When I opened the door, there was a lot of smoke and it was very thick. I tried to see what might have caused the fire but I could only manage to take a few steps in before choking and had to turn back,' the 69-year-old told ST in Mandarin. His firm supplies dental equipment and tools. Mr Teo said he was thankful the fire was contained in the administrative office and that the supply stores were untouched. He called the SCDF when he saw that the smoke had become extremely thick. 'They arrived shortly after I called, and the fire was extinguished by around 9am,' added the 52-year-old. The cause of the fire is being investigated, SCDF said.